Test your memory skills with this animal memory match game! Kids will also be reviewing animal names and animal body coverings as they play. 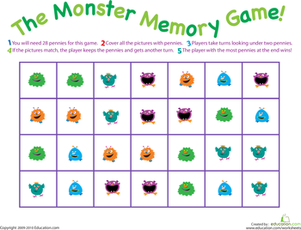 With this memory match-up game your child will build memorization skills. Enjoy this match-up activity on animal camouflage for kids! 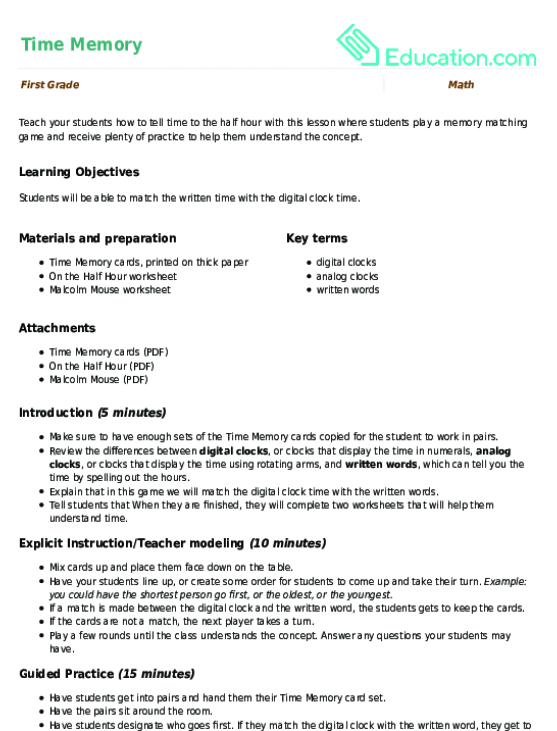 Teach your students how to tell time to the half hour with this lesson where students play a memory matching game and receive plenty of practice to help them understand the concept.